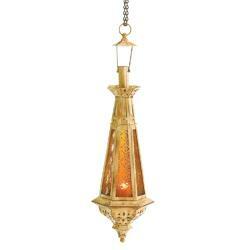 Spark an aura of Moroccan magic when you hang this distinctive antique-finish lantern! 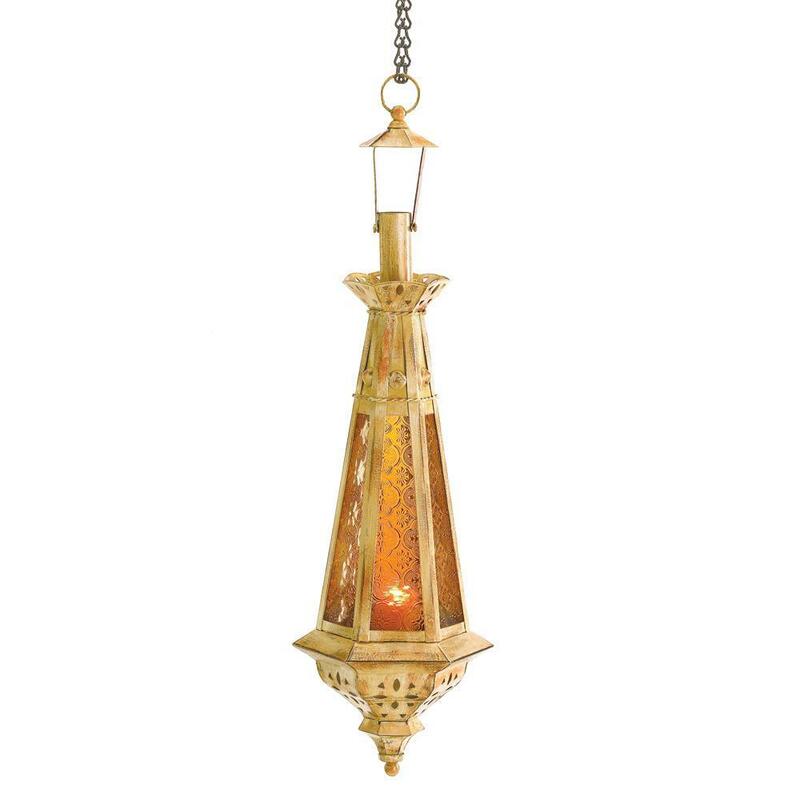 Candlelight glimmers through patterned panels of pressed amber glass, giving this lovely lamp the look of a treasure fit for a sultans palace! Weight	2 pounds. 6.75" x 6.75" x 23". Metal, Glass. Candle and chain not included. UPC Number: 849179000936.